Mind Map is a tool used to visualise thoughts and ideas and make connections between them. It allows presenting ideas in a visual and non-linear way and grouping them into clusters. A Mind Map begins with and initial ideas (positioned at the centre of the page) and then develops into a series of ‘branches’ populated with words and drawing that expands the initial concept. The lack of hierarchy determined by the radial development of the concept make them really useful during brainstorming sessions where more people can contribute to the development of the same idea. It also allows to find the real centre of a problem. A Mind Map is a really personal ways to develop ideas. It is often quite difficult for someone that hasn’t been involved in the creation of a Mind Map to understand it’s meaning. Main Map can be used as way to document observations of a space as shown in the example below. 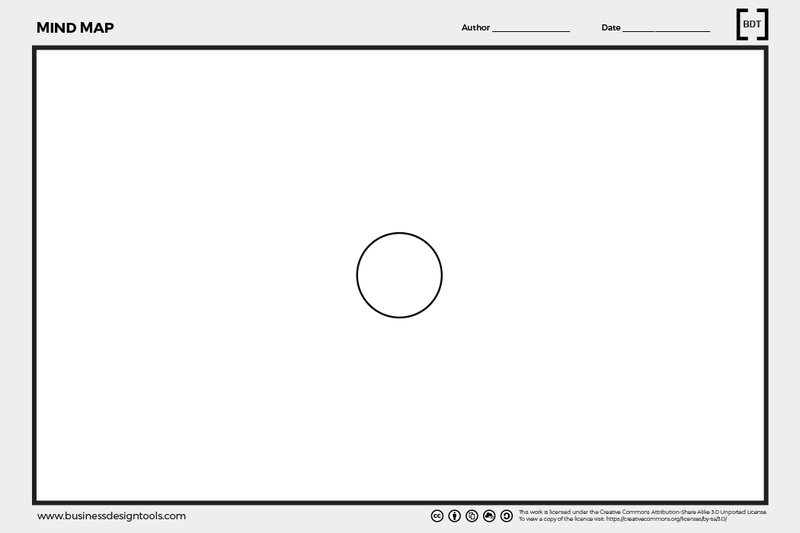 Template to create create Mind Maps developed by Giulia Piu.